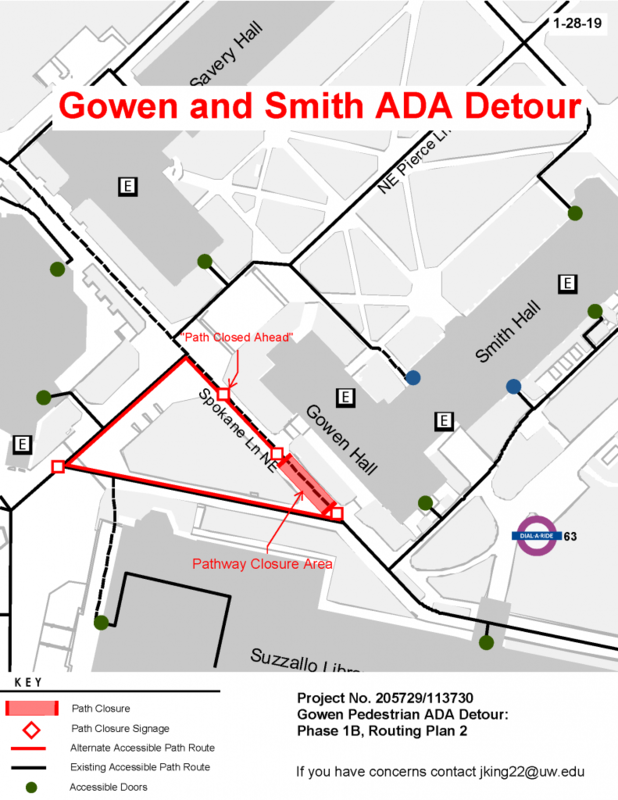 A section of the accessible pathway along the west side of Gowen/Smith Hall (Spokane Lane NE) will be closed while construction scaffolding is being installed. This closure will not block the accessible entrance to Gowen Hall. The alternate accessible route is along the north side of Suzzallo Library (see detour image). This detour should last until Friday, April 12th.